Jayne Ann Krentz | Elaine Reads . . . constantly! Like Virginia, private investigator Cabot Sutter was one of the children in the cult who survived that fire… and only he can help her now. As they struggle to unravel the clues in the painting, it becomes clear that someone thinks Virginia knows more than she does and that she must be stopped. Thrown into an inferno of desire and deception, Virginia and Cabot draw ever closer to the mystery of their shared memories—and the shocking fate of the one man who still wields the power to destroy everything they hold dear. This is the second book in what will be a trilogy about three brothers who survived an early childhood in a cult. The first, When All the Girls Have gone, came out in 2016 and was wonderful. Of course, all of Jayne Ann Krentz’ books are wonderful. In my opinion, these two books are a little darker than her earlier works. The focus is on the suspense rather than the romance. Make no mistake, the romance is there. It is just not the focus. As with all of her books, there is a strong, alpha male and a strong female that takes no guff from him. And, in my opinion, that’s where the humor comes into this book. In an earlier scene, Virginia is “having words” with her grandmother and Cabot proves his intelligence. He kept his mouth shut. A smart man did not step between two quarreling lionesses. It is these moments of lightness that I consider a trademark of a JAK book right along with her alpha males and strong females. Although this is the second book in a trilogy, it could be read without the first. I don’t recommend it, but you could. -grin- The mystery in this book is resolved, but there is an overarching plot which is not. It all goes back to the cult. 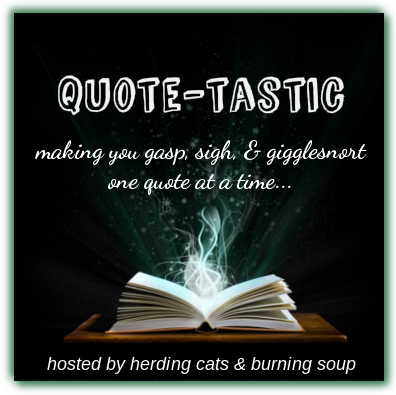 The 1930s is a new time period for Amanda Quick, aka Jayne Ann Krentz. I was a little nervous about this book because this period is not a particular favorite of mine. However, it is an Amanda Quick book, so I had to read it as soon as I could get my hands on it. I was thrilled to score an early reviewers copy MONTHS ahead of time. I don’t know why I had any doubts. Of course, the book is great. I have never read one of her books that wasn’t. Oliver is an alpha male who is used to people doing what he tells them and Irene is an independent woman who doesn’t let anyone tell her what to do. Yep, classic Jayne Ann Krentz. And Oliver never wanted to be involved in finding a murderer, but when one of the bodies is found at his very private and exclusive hotel, what’s he going to do? He’s not completely sure Irene is not involved. She is a journalist after all. Both Irene and Oliver have secrets in their past that they are not sharing. Could they have anything to do with the current string of murders? I guess you’re going to have to read the book to find out. It’s a great book with plenty of plot twists and strong supporting characters. There’s one in particular that I want to have his own book. There’s no mention of a sequel, but I really, really want one. -sigh- And now I have to wait FOREVER for another book by JAK. Whatever it is and whichever name she uses, I know it will be wonderful. Talk about an oldie. This book was originally published in June 1990 and yes, I bought it then. For some reason, I had a reading slump a few days ago and my solution is always to read something that I know I will enjoy. Needless to say, that means pick up a Jayne Ann Krentz regardless of what name it is written under. She has always written alpha males and strong females. Her earlier books sometimes make me (and the heroine) want to “Gibbs” the guy in the back of the head, they can be so controlling. (If you’re a NCIS fan, you’ll get what I mean.) Even so, I love them and I love that I can depend on JAK no matter what she writes. So, a quote to demonstrate the relationship and the fact that JAK can always interject a little humor when it is needed. “So long as I come up with the right one?” Her eyes danced mischievously. And I’m over my slump. I just needed something to make me remember why I love to read so much and this book did it for me. Series: None listed, but I really think there will be two sequels. Okay, this book is definitely a romantic suspense . . . or maybe, a suspenseful romance? Either way, there is plenty of both in it. One of the things I really liked about Max and Charlotte is they are ordinary people. Neither one is “stunningly attractive.” They both have to work to pay the bills. And they both have broken relationships in their past. They have problems, just like everybody else. Max is definitely the strong, in charge type, but he doesn’t try to tell Charlotte what to do. Probably because he realizes it would be a waste of time. They both consider themselves plodders and use the phrase “one foot in front of the other” to describe themselves. They are just likable people. Now, the mystery. All I can say is Good Grief! I had it figured out half way through the book. Nope. I was totally wrong. Then, I decided it was someone else. How could I have missed that? And the plot continued to twist and turn. When the mystery is finally solved and all the questions are answered, I had an “oh, yeah” moment. There was nothing that came out of left field. I felt like I should have seen it all along. And that makes for a great mystery. It kept me guessing, but all the clues were there. Jayne Ann Krentz is a great romance author. I have been reading her books for years. However, she is also a wonderful suspense writer. I read her books for the romance and humor, but the plots completely grab me. I haven’t seen anything that says there will be any sequels, but Max is one of three brothers. I really think (hope) we are going to get a trilogy at least. When All the Girls Have Gone comes out November 29th. Give yourself an early Christmas present, but make sure you have time to read it. You will not want to put it down. Yeah, yeah. I know it’s Wednesday. As a matter of fact, this isn’t posted yet and it may even be Thursday before I get it together. Don’t ask about my week. Just don’t ask. Now for a little background. The hero of the book has decided that the heroine, Mrs. Poole, should stay at his estate for a couple of days for her own safety. He summons the butler to give him his orders. I love it and Finch is right. “Forceful lady” is putting it lightly. Force of nature would probably be more accurate. I read this series when it was first released back in the late 90s and early 2000s. They were great then and have definitely stood the test of time. I am enjoying a reread after so many years. It’s like I have discovered them for the first time. 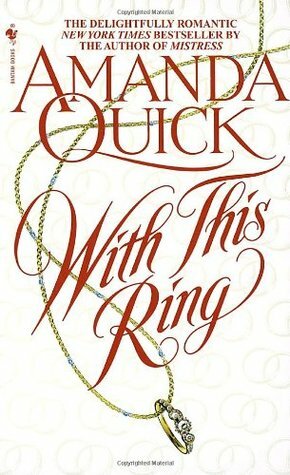 If you are not familiar with Amanda Quick, that is the pen name for Jayne Ann Krentz when she is writing historicals. She also writes science fiction as Jayne Castle. It doesn’t matter what name she writes under, they are all wonderful. With its opulent casinos and hotels, the desert city of Illusion Town is totally unique—and will take you on a thrill ride you’ll never forget. With Hannah’s dubious background and shaky para-psych profile, she could have done much worse. The coolly competent mining heir arouses her curiosity—as well as other parts of her mind and body. And even her dust bunny likes him. I know it’s a cliche, but Jayne Ann Krentz aka Jayne Castle has done it again. She has written a fun, romantic mystery with clues that will lead you right down a dust bunny hole. Do dust bunnies even live in holes? Hannah is a dream walker with a twist. She has a doppelganger who always has the answers. It’s just Hannah doesn’t always have the right questions. But she’s not crazy or fragile regardless of what the parashrink said. Elias is a Coppersmith. Yes, of those Coppersmiths. We met his family in the previous book, Siren’s Call, and he is just as strong in his talent as is expected. And he doesn’t think Hannah is crazy or fragile either. I love Jayne Ann Krentz/Jayne Castle/Amanda Quick books regardless of what name she is writing under, but I ADORE her dust bunny books. 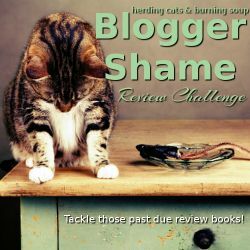 They are all good, but I have to admit I didn’t like the last few books set on Rainshadow Island as much as I have the others. I am so glad she has moved her setting to Illusion Town (where the thrills are real). They just seem more like her earlier writings. In other words, this book is even better than the last one. Read them. Read all of them. You don’t have to read them in order, but why not? You will love them all. The description of this book is not correct regarding the “trinkets and gifts” Calista is receiving from what we would nowadays call a stalker. However, they are the same sort of thing. The term, which I had never heard before, is momento mori and I am completely creeped out. Who knew there was ever such a thing? It’s not like Calista doesn’t have enough problems. She is a businesswomen in an era when respectable people did not work, much less a woman. Her “introduction” agency is doing well, but the slightest bit of scandal will drive her clients away. She has a nineteen-years-old brother who is staying out late and probably associating with the wrong sort. She is being left funerary trinkets by an unknown person . . . one of them in her bedroom. And then there is Trent. Trent, whose sister is a client of Calista’s. Trent, who thinks Calista might be after his sister’s money, or at the very least will introduce her to a fortune hunter. Trent, who is the most interesting man Calista has ever met. Many of Amanda Quick’s books have a mystery and suspense element to them. This one, however, takes it a step further. I think it is the whole momento mori aspect that makes this book seem more disturbing than the others. Which does not mean it isn’t good. The primary characters are classic Amanda Quick/Jayne Ann Krentz. The hero is strong and protective and the heroine can think for herself. The secondary characters have well developed personalities and the villain is easy to hate. The only difference is that the villain in this book is really, really creepy. Which doesn’t mean that the plot is completely serious. Trent is an extremely popular author and everyone who meets him thinks he needs their advice on how to improve his books. Watching him trying to remain polite to his readers was fun to read. All in all, this book was a pleasure to read and that is never a surprise by this author. It does not appear to be part of a series, but who knows? By the way, momento mori jewelry can be purchased on Etsy and Ebay. I am NOT looking into it myself. Did I mention I find it creepy and disturbing?